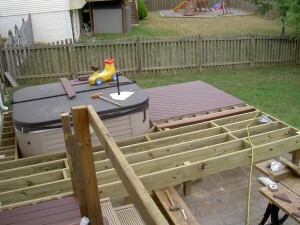 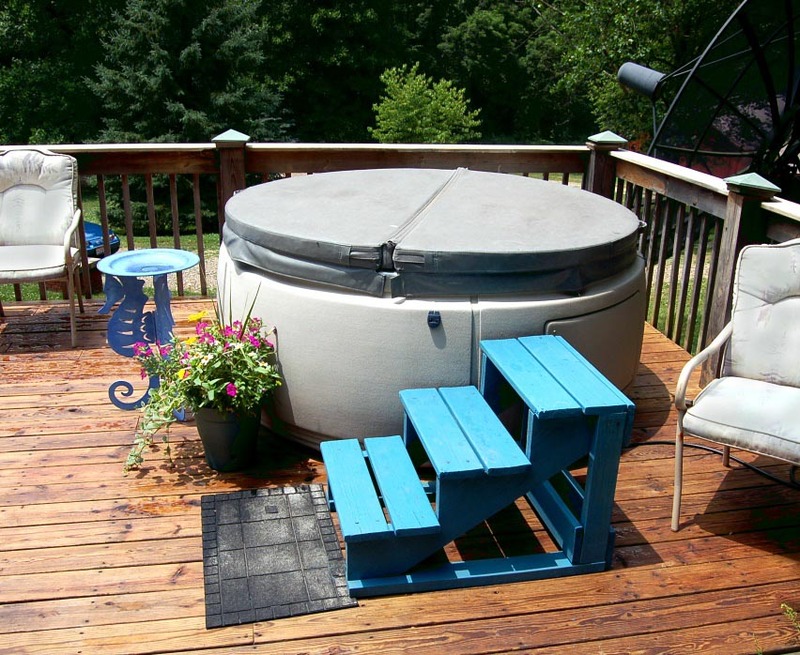 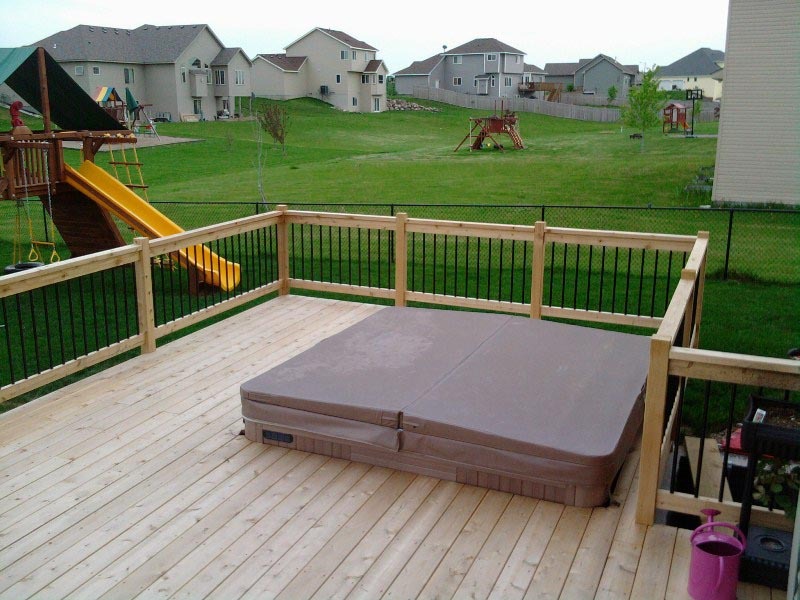 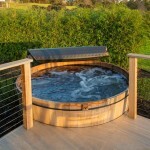 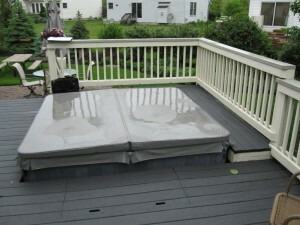 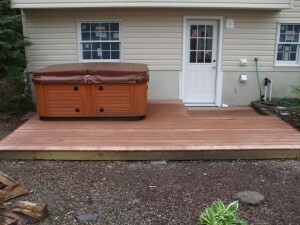 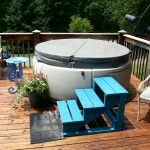 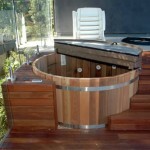 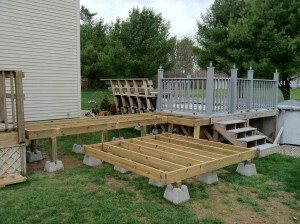 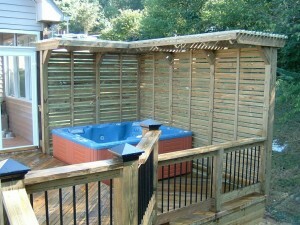 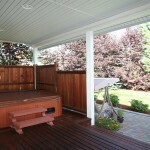 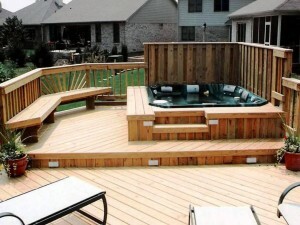 However, when we have to install a hot tub on the uneven area or where the land is quite loose, and you’re not willing to deal with major excavation and concrete pouring job, it’s better to think about building a reliable wooden deck. 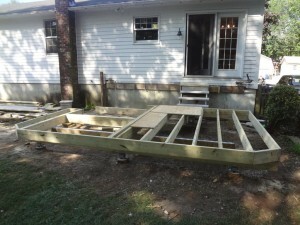 It’s constructed with the help of pressure-treated wood planks, beams and center posts and special concrete footings to provide necessary support of such stand. 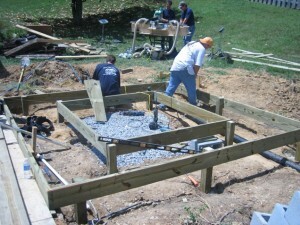 Still, you’ll have to dig several holes and fill them with sand to prepare the mounting spot for the footings, but it’s much easier than creating the gravel and concrete base.